Launching winter operations have caused to inflict heavy casualties to armed insurgents and followed with many achievements and successes, officials of the ministry for defense said. They stressed that the operations have been conducted in many provinces and would continue until the next spring. During the winter operations, a number of areas have been retaken by Afghan security forces. Pointing at winter operations’ achievements and successes, the spokesperson to the ministry of defense said that the operations have been successful. He added the operations are continuing in Kapisa, Ghazni, Kandahar, Herat, Balkh, Jauzjan, Faryab, Maidan Wardak, Nangarhar, Kunar and Helmand provinces. Officials of the ministry say that 38 prisoners including a number of security forces have been released from a Taliban prison in Ghazni province, a move which is a big achievement to Afghan security forces. Members of domestic security commission for the lower house of the parliament said that winter operations were fruitful, during which heavy casualties have been imposed on the enemy. Therefore, the Afghan security forces should use air particularly special forces during operations, they added. A number of military experts believe that the government should avail the opportunity and accelerate winter operations to target the enemies’ main centers. A military expert, Jawid Kohistani says that the operations have been effective, but we expect the security forces particularly the air forces to make effort not to harm civilians during operations. Unfortunately, over the last years, the government of Afghanistan has made serious efforts on fighting terrorism, but lack of world will to uproot the terrorism sources has caused the efforts not to be followed with fruitful results, he stressed. Afghan citizens say that efforts should be made to deploy more troops and weaponries in the areas retaken by security forces. One of the issues that is behind losing an area is that when the security forces clear an area, more troops don’t deploy there, thus, lack of forces in those areas cause to lose them once again, a school teacher Malalai said. 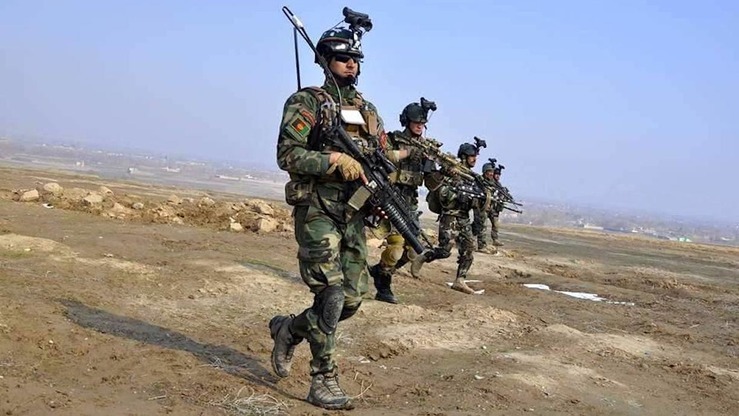 The Afghan security forces can play key role in elimination of insurgents’ hideouts, but the important point is that the air operations should be conducted in cooperation with all security entities so to prevent civilian casualties, a Ghazni resident Zafar said. This is while that each year, the Taliban give up war and prepare for next spring, thus, winter is a good season to them to conduct more operations on enemies’ strongholds.